It has been in the 80's here in St. Louis, so needless to say I've been a bit smoothie obsessed. 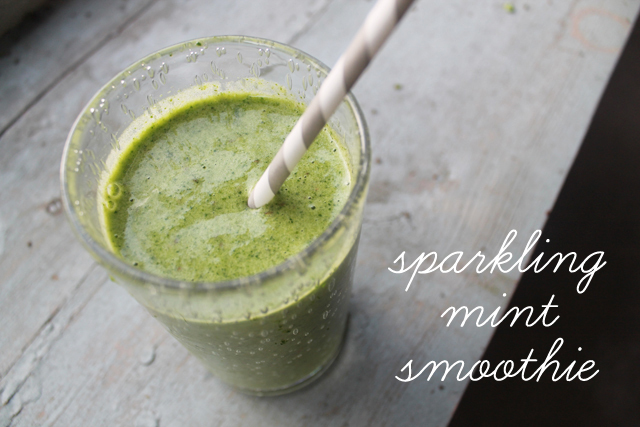 We made these delicious sparkling mint smoothies last night for dinner, and I was surprised by just how much we loved it. It's nice to have a smoothie every now and again that isn't berry flavored. 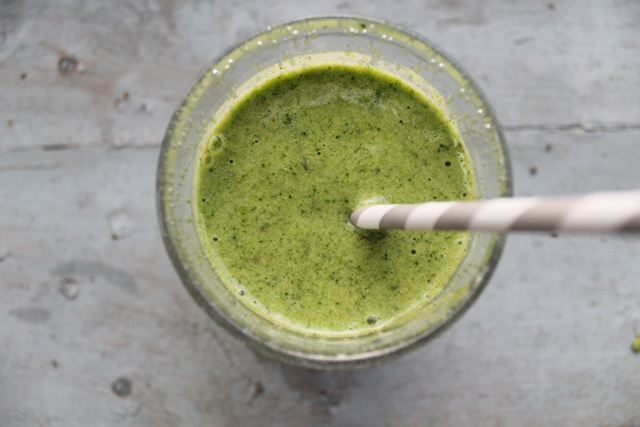 This smoothie is delicious, nutritious and surprisingly very filling! We grow a ton of mint in the summer, so I'm sure this smoothie is here to stay. Combine all ingredients in blender and mix on high till smooth and frothy. Enjoy! As with all smoothies, adjust your ingredients to taste and your desired consistency. You may want to add a bit more milk if you like a creamier smoothie, or throw in some greek yogurt if you like a thicker smoothie, up the agave nectar (or use honey) if you like a sweeter smoothie. You inspired me to make smoothies for dinner last night. I was surprised when I told Ryan what we were having.. he was really excited about it! And they were so filling. Really, perfect. Thanks for this! this sounds delicious - definitely going to try it soon! This smoothie recipe looks amazing! ;)) do you know how many calories are in it?